Ellen Broadhurst, author of The Chronicles of the $700 Pony [Half Halt 2006] & The Further Adventures of the $700 Pony [Half Halt 2008], is now living the ex-pat life and touring the world with her family. The information on Malealea was written by her son Tom for a school project. Photos by Ellen. Welcome Ellen & Tom. 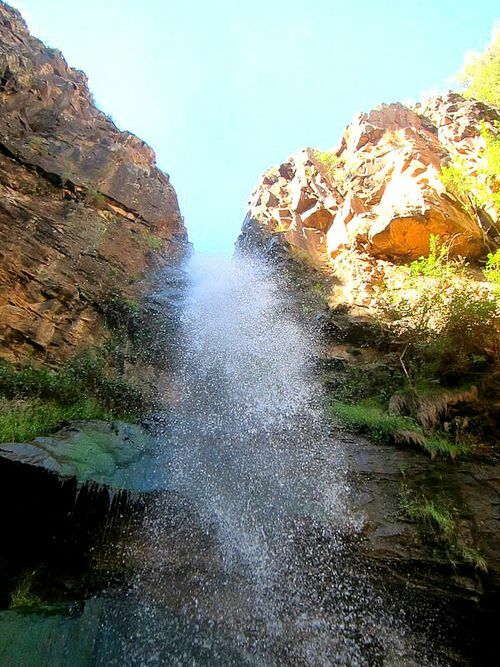 Malealea village is in Lesotho which is a county entirely enclosed by South Africa. The population of Lesotho is just over 2 million and 40% of the people living there are below the international poverty line of $1.25 a day. Malealea village is a poor village in the southern province of the kingdom of Lesotho. It is about an hour and a half drive to Maseru, the capital of Lesotho. Malealea Development Trust or MDT is a non- profit organization in Malealea village. 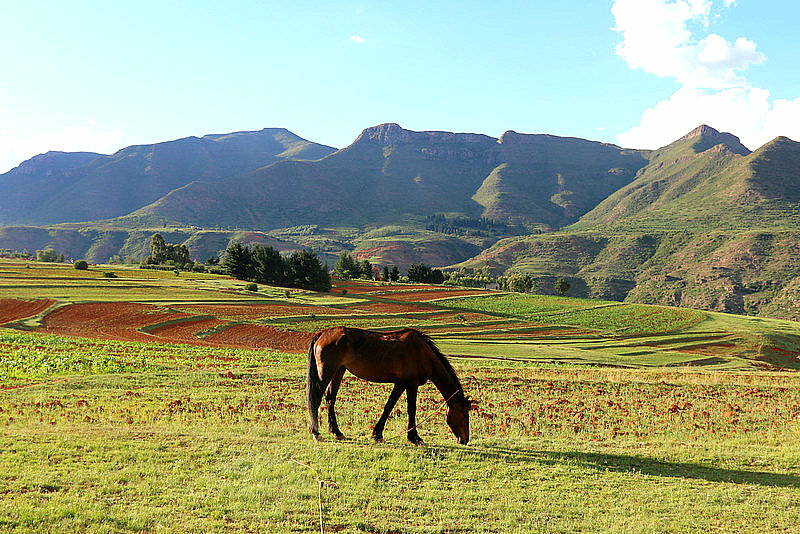 MDT is an organization run by Malealea Lodge and Pony Trek Center which is a lodge and pony trek center in Malealea village, Lesotho. MDT has 5 main focuses, Education, Health and well-being, Infrastructure Development, Environment and Micro development and Income Generation Projects. Pony Trekking is the primary “activity” at the Lodge. The ponies and guides are provided by local people, and the Lodge oversees equipment and managing bookings. I thought about going for a short trek, but given the age of the children, I decided it would be better to stick to hiking. In general, the animal husbandry practices I observed were in line with what I’ve have seen in other ‘less developed’ areas. People depend on livestock for food and livelihood, so they are cared for with those ends in mind. Horses are of course not pampered the way the tend to be in the US, but are treated as work animals. Overall, most horses we saw were in good flesh and were fit; not unexpected given the rough terrain and assumed frequent use. They looked like hardy souls in general. There were exceptions, and I did see a few youngsters definitely in need of feeding up, but the Lodge is careful to coach the guides who provide the horses, and tourists are encouraged to report any animal treatment that they feel is really out of line.